The Insertion Device (ID) for the DCS is a Revolver Undulator that can be switched between two periods – 27 mm and either 30 mm (available now) or 17.2 mm (available in 2017) to provide continuous spectral tuning in energy from 5 to 100 keV. 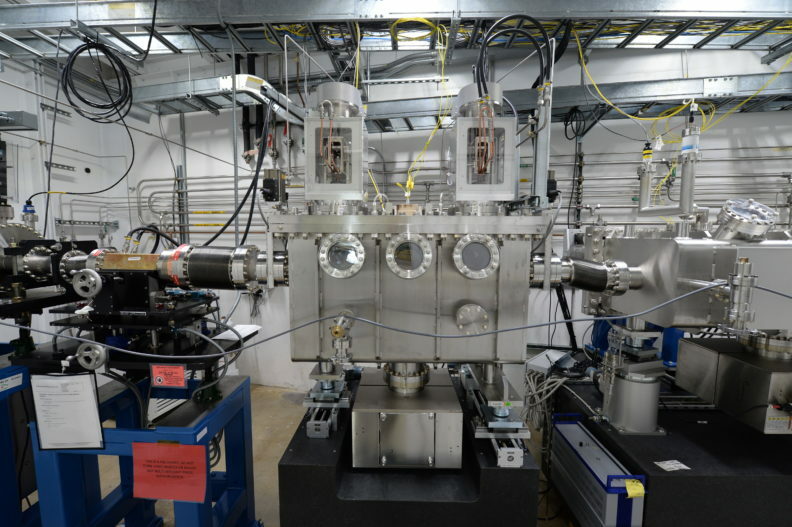 The beamline optics are designed to deliver four X-ray beam modes that can be fine-tuned in energy, beam-size, bandwidth, and flux to deliver the appropriately conditioned beam for a particular experiment. To view the APS Beamline Operations schedule, please click here.